When was the last time you played a board game? Was it when you were a child? I just love, love, love board games and am always surprised by how few people play them. If you delve into the darkest recesses of your mind you may recognise this! I purchased it for only 5.99 Euro in Reddy’s Gift Shop, Thomastown a few weeks ago. Why should I play board games with my child? Sharing & taking turns- most games call for 2-6 players so your child will learn to patiently wait his/her turn. It is a great way for young children to develop these important social skills necessary for school. Pre-maths skills- Your child will learn to count by rolling the dice and moving his/her counter along the board according to the number rolled.Your child will also learn to count with “one-to-one correspondence” and to recognize numerals. “One-to-one correspondence” is where you point as you count eg. move your counter along 4 spaces while saying a numeral per space… 1, 2, 3, 4. This will consolidate the “4ness” of 4. Cheating is not allowed or accepted by the group. Learn how to win and lose- another very important and sometimes traumatic social skill to learn! With board games, as with life, there will be winners and losers. It can be upsetting and frustrating for young children but they must learn that they cannot always win. It is also a great joy for them when they do actually win! 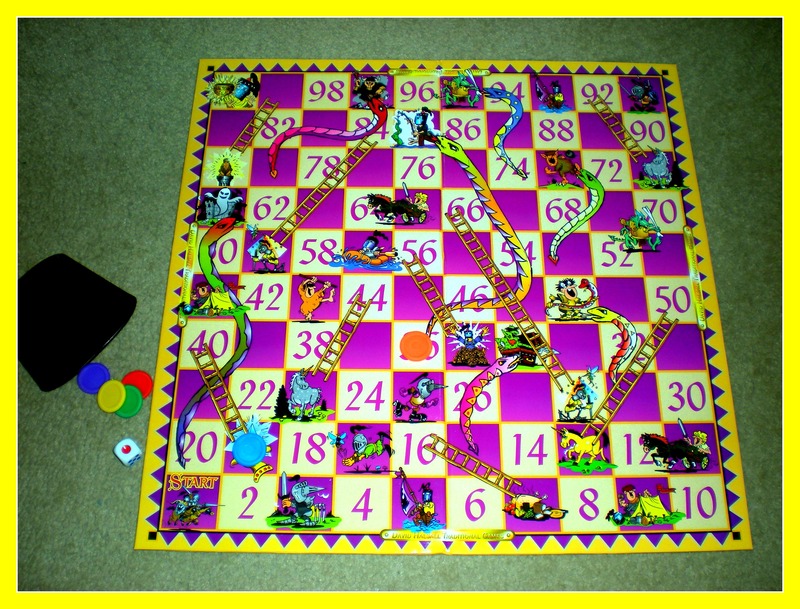 Board games such as Snakes and Ladders teach the balance of winning and losing as it is a game of chance. Your child has as much chance of winning as you do. Social Interaction and Quality Time- board games are a great way to spend some fun time with your child on a wet day or when you have some free time. They provide you with some quality time to relax, have fun and enjoy each others company. They are also great for entertaining children on play dates. Language development- board games by their very nature encourage lots of talk, complaining, questioning all of which helps your child to improve his/her vocabulary and communication skills. A bargain at 5.99, wouldn’t you say?! 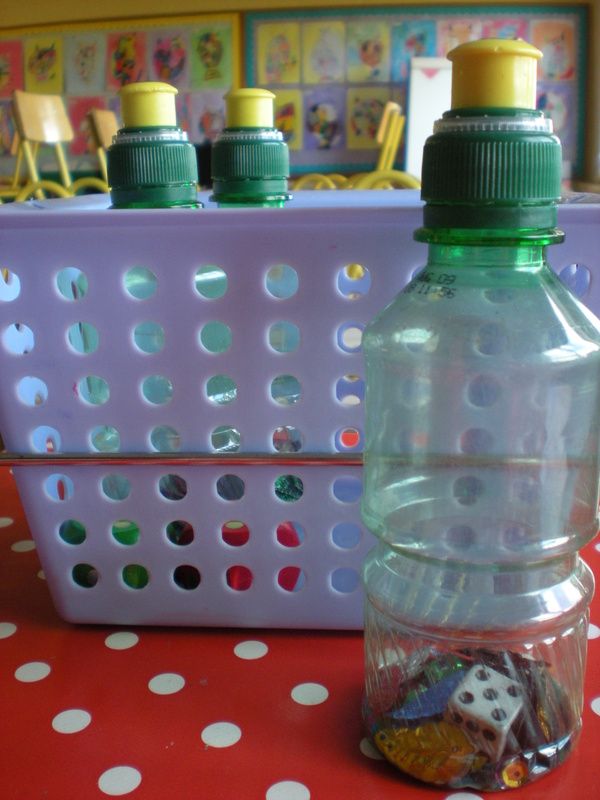 Store counters/dice in the draw string bag that comes with some washing machine detergents. Your local school supply store will sell them for less than 2euro. It will be easier for your child to count the dots and also tonnes easier to find it when it rolls under the sofa! Older children who are quick to recognize the numbers might prefer one of these: Click here for a link on how to make your own.